Mary Gillen McMillen holds a Bachelor of Arts of English Literature, a Master’s in Arts of English Composition and Rhetoric, and a Juris Doctorate in Law. Mary was an Instructor of Composition, Critical Reading, Creative Writing, Research, and Political Science for seven years at Northeastern State University before attending law school at the University of Tulsa College of Law (2009-2012). 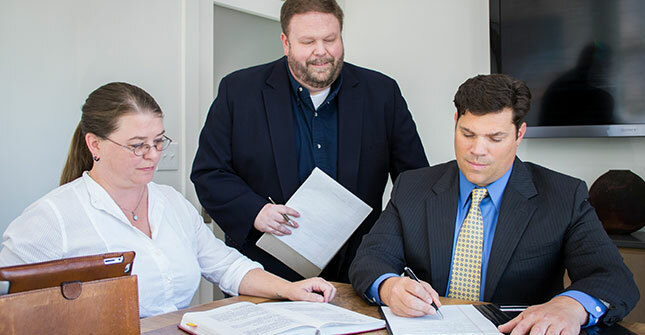 As a practicing attorney since September 2012, Mary has primarily practiced in areas of criminal defense, probate, family (divorce, child custody, guardianship, adoption, and child support), federal and state Civil Rights litigation (1983 Civil Rights litigation, Bosh Tort claims, GTCA claims, etc. ), and tort actions (wrongful termination, replevin, breach of contract, etc.). Mary has both civil and criminal trial experience. Mary is a certified mediator and has mediated over 40 hours of family law mediation in Oklahoma and Arkansas. She has over forty hours of family and domestic mediation training, and she holds the philosophy that the parties should be the best persons to make the best decisions in their own case. When parties cannot agree and must go to court for a final decision, Mary zealously and aggressively advocates for her client’s interests. She’s not afraid to fight for her clients.